Conductor Daniel Swift and his intrepid band couldn’t have picked a better occasion than the final concert of the Niagara Symphony’s Masterworks Series to pull out all the stops and convincingly prove why anyone who fails to renew their subscription to the 2005-2006 season is either tone-deaf or on Robert Mugabe’s voter rolls. Patient readers of these pages will recall numerous pushes, shoves or—please excuse me, the music sometimes demands it—diatribes, urging Swift and his charges on to greater heights. So then, fair is fair: When the bar is truly lifted, it’s just as important to celebrate that. Schubert’s Symphony No. 8 in B Minor (this critic would put forward the notion that it was—in architecture, sound and thought—completely formed) afforded Swift the opportunity of ignoring more bar lines than he saw and let the music play. To their credit, the band responded in kind. The first violins in particular had their finest outing in recent years. Concertmaster Valerie Sylvester deserves much of the accolades for leading her colleagues with passion, integrity and an “into-the-string” approach that left the perennial acoustical deficiencies of the Sean O’Sullivan Theatre in the dust. Swift, obviously at one with and immersed in the composer’s genius, often let his left hand do the talking and was rewarded with memorable phrasing and dynamic subtleties that his usually ever-present “stick” limb stifles. This proved beyond doubt that the musicians, collectively, can be trusted to afford their conductor the opportunity of shaping the magnificent score rather than merely beating his way through it. Next year, let’s tie one arm behind the back. Now, for the greedy ears of your challenging scribe, a couple of further entreaties—let’s keep going while the musical iron is hot. After every movement has come to a close, take a moment to reflect before snapping the page over. With this type of music written to “heavenly” lengths, no one’s in a hurry to jump ahead and most component segments require a bit of digestion in order to fully savour the delectable ideas that have just been shared. Furthermore, with the orchestra shell finally in its optimum spot, and the players digging in as never before, let’s vow to let the cadences not merely resolve, but also breathe, so that their structural punctuation better frames the subtext and creative imagination of their long-departed creators. The inspired choice of Niagara International Music Festival music director and violinist extraordinaire Atis Bankas as the featured soloist paid off beautifully. Ably partnered with harpsichordist Cécile Desrosiers, the pair sailed through Haydn’s concerto with zest and authority. Their mutual empathy never more apparent than in the cadenzas where Desrosiers’ technical dexterity and Bankas’ warm, caramel tone were constant pleasures. Bankas returned to the stage for a sensitive and forward-looking reading of Beethoven’s Romance in F Major. He navigated the technical and emotional terrain with aplomb. Only a slightly more relaxed tempo and drier staccati in the accompanying strings could have improved this minor masterpiece. 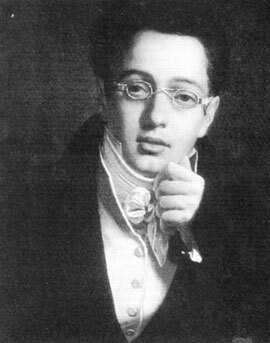 Schubert’s incidental music from the failed opera Rosamunde, Princess of Cypress, never got off the ground. Like many film scores, the music alone wasn’t near enough to maintain interest.